Normal brain activity. 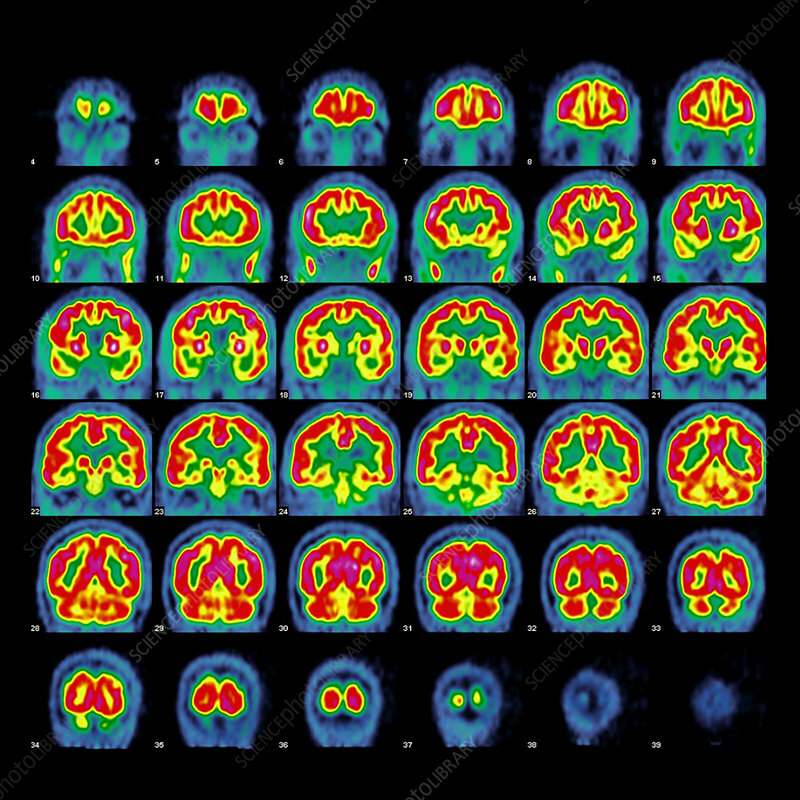 Coloured positron emission tomography (PET) scans of coronal sections through the healthy brain of an 80-year-old man, showing normal activity. The radioactive tracer used was F18-FDG.